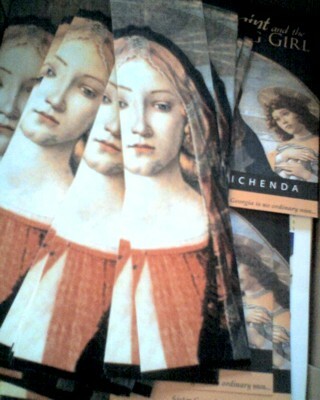 Those who have the time to peruse the International Miami Book Fair this week, keep an eye out for The Saint and the Fasting Girl! The book will be available in the iUniverse booth, so stop by, pick it up, and perhaps take a peek at the first few chapters. Looking for a link to the catalog (pdf)….but not finding one. Kindle and Nook - Ready! Though The Saint and the Fasting Girl has been available in ebook format for a while now, it wasn’t ready to go for Nook and Kindle. That is now rectified! For those who love their Kindles and Nooks, the book is ready to go. It was a really nice response, too, from our email campaign. I appreciated the opportunity to get the word out about the book, and with over 2000 direct clicks I would say I am glad to have so many people curious enough to get a good look at the book. To all those who clicked over, thank you! Happy Reading! 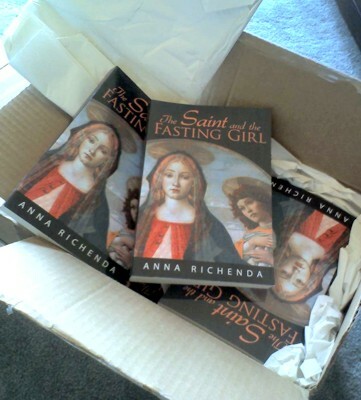 Thank you to all who have posted reviews of The Saint and the Fasting Girl. As a writer, it is so wonderful to hear from readers who like the book. What a joy to get my email this morning and get to read such a nice review! A great start to my day. For all things Historical Fiction, thank you to Ana T. at Historical Tapestry for the review. And I am oh, so lost! I was browsing bookblogs.ning and came across a thread discussing the difference between LibraryThing, Good Reads, and Shelfari. I’ve been a longtime LibraryThing user, but they made Good Reads sound so fun, I joined, lol! But now I’m hopelessly lost! And I don’t have any friends. :( If you’re a Good Read-er, take pity on me: pop over to my Good Reads page and add me? Oh—and if you know how to import books from LibraryThing, I’ll be your best friend forever! My copies of the book arrived this week, and don’t they look magnificent in the box? Some of these are actually mine. 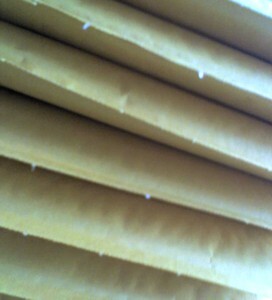 I got a shipment on the 29th, but those were all earmarked for a bunch of awesome book reviewers. Look at the lovely pile of envelopes, now speeding their way to places like Mafra, Portugal; Kingston, Ontario; and Philadelphia, PA.
And look, I had bookmarks printed, too! I cannot tell you how nerve wracking it is to have the book in my hand. Nerve wracking and amazing, too. This is the culmination of years of effort. This project started with a dream in 2002. It endured through my sister Charlie’s cancer and her death. It endured through revisions and workshops and, although the book isn’t about me, writing it became a kind of process of self discovery. Who knew the girl who read ‘Wrinkle in Time’ over and over again would end up so fascinated by fasting girls and anchorites? lol. Um…okay. Maybe that one makes sense. And don’t they look wonderful!